With my niece, Maryam, who was very happy playing in the sand with flurry of big waves! Determined not to take the mainstream tourist attraction, we took boat this morning going to Nusa Lembongan island, a small island off east coast of Bali. Our first destination in the morning was Dream beach. 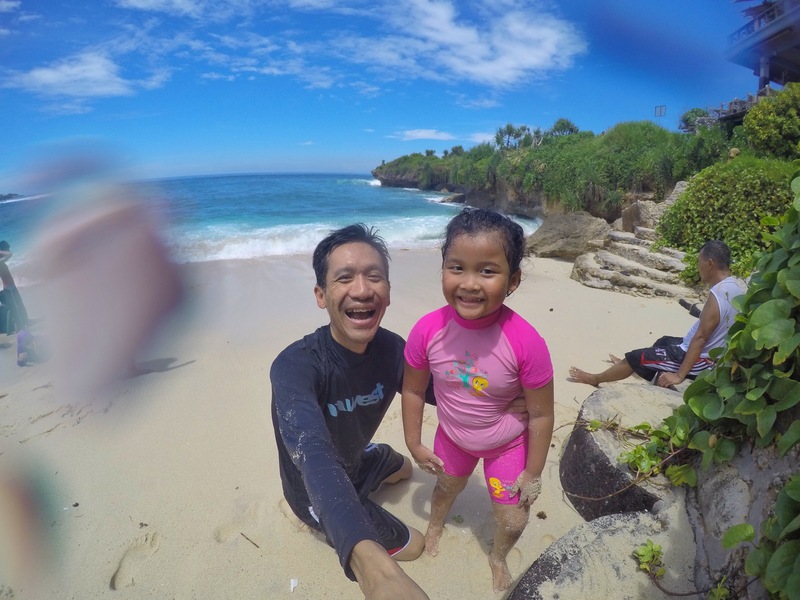 A beach nestled in between the cliff of Nusa Lembongan, and famous with its big waves. 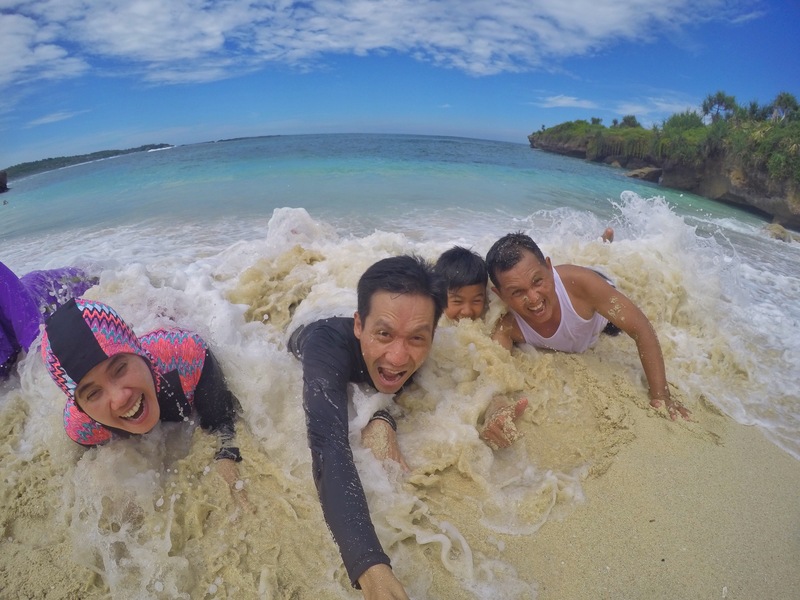 We had so much fun playing with the waves, adults in 40s and 50s turned like kids! Flurry of big waves coming! Previous Post BBQ at the Villa!